The 31st anniversary of the commencement of the Iraq-Iran war was marked last week with a spectacular military parade complete with a display of Iran’s growing arsenal of short and medium range ballistic missiles. The solid-fuel Sajjil was brought back for another year, after its parading last year was such a success. 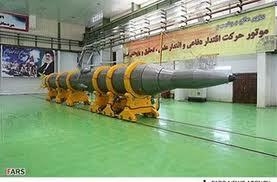 The Sajjil missile has a range of over 2,000 kilometers (1,250 miles) which, in theory can be a direct threat to Israel and several US allied Arab countries, especially those with US military bases on their soil. The parade and military display was held only a few weeks after Turkey agreed to place an early warning radar system within their borders as part of a general NATO defense system whose main purpose these days is to counter Iranian missile threats. Military and political leadership in Washington, DC are hopeful that the radar system will be up and running in Turkey before the end of the year. Iran’s response to the announcement of NATO’s intention to deploy the missile defense radar system in Turkey was to warn the west that such an action would force an escalation of regional tensions.